Announcing Two New Membership Options! Join The Real Food Academy Family! It's a movement! It's a lifestyle! 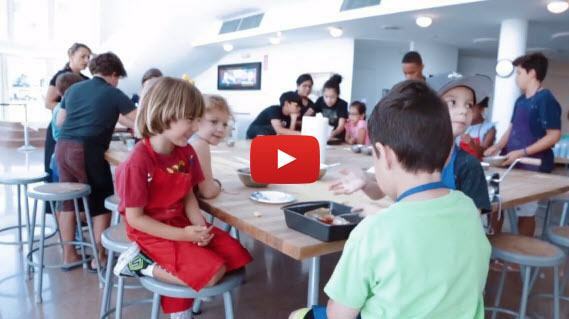 Become a member today and enjoy unlimited cooking classes for you or your kids! The Real Food Academy offer much more than cooking classes. The Real Food Academy promotes a healthy lifestyle by providing you with all the tools you need to change the way you eat forever! Learn the difference cooking real food makes in how you feel! Has your child become fascinated with cooking recently? Do they want to help in the kitchen all the time? If yes, you will love our New Budding Chef Membership. Many of our young members come to cooking class every week. In that case, you are paying only about $15 PER CLASS. Even if you only attended three times per month, you pay about $19 per class. When you consider the regular cost for a single kids class is $35, its an easy choice! Our adult membership is called the Top Chef membership. This membership is just as exciting as our kids membership. Are you ready to finally learn to cook or prepare healthy and delicious meals? In addition to unlimited attendance, you will also enjoy discounts on all the food served at The Real Food Cafe! Details about the Real Food Cafe Coming Soon!